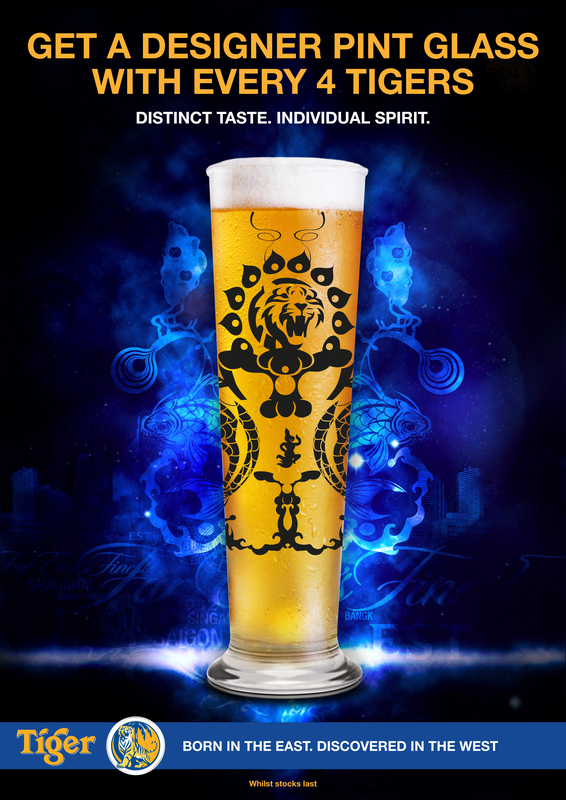 I was asked to design a promotional campaign for Tiger Beer. 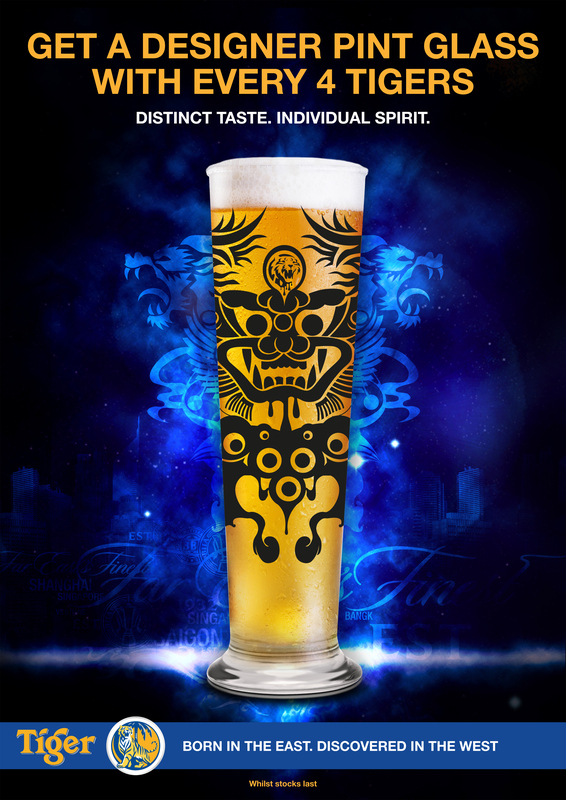 Artists were commissioned to illustrate key characteristics of the Tiger brand and also of the Tiger itself. The illustrations were used to create promotional posters, packaging, banners, beer mats etc. 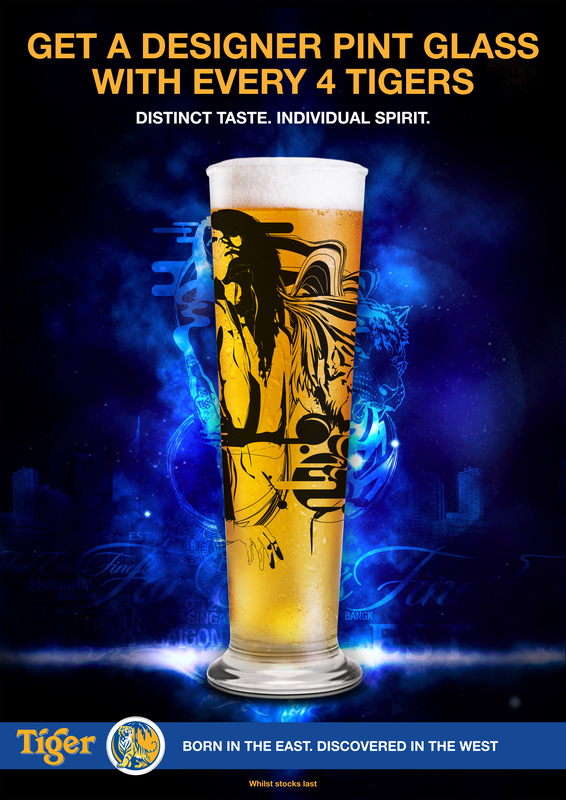 The promotion helped Tiger Beer obtain a 60% market share during the promotion. It was so popular that the promotion is soon to be relaunched.